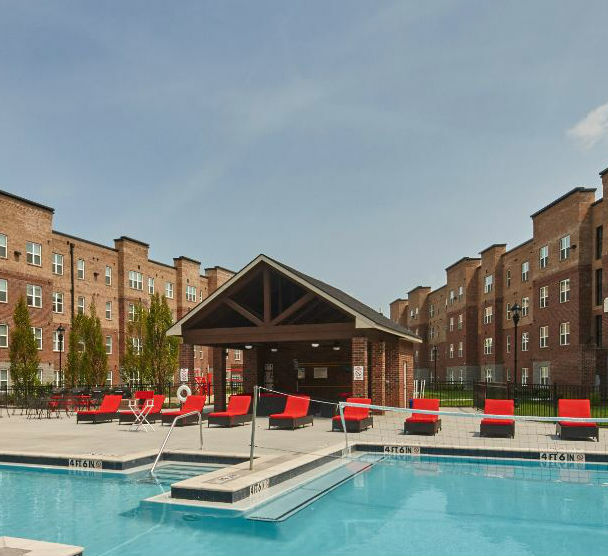 Capstone Real Estate Investments, LLC ("CREI") has closed on the acquisition of The Arch Apartments, located near the University of Louisville in Louisville, KY. This purchase aligns with the company's goal to expand its national footprint within the student housing space. This is the company's first project located in Kentucky and the transaction increases CREI's portfolio size to 22 communities in 18 markets. Capstone Real Estate Investments, LLC (“CREI”) has closed on the acquisition of University Village, located near Salisbury University in Salisbury, MD. This purchase aligns with the company’s goal to expand its national footprint within the student housing space. This is the company’s first project located in Maryland and increases the number of states CREI operates in to ten. Capstone Real Estate Investments, LLC (“CREI”) has closed on the sale of Landmark Apartments in Hattiesburg, MS. The transaction was finalized on December 5th, 2018 and marks the second successful real estate sale by CREI in 2018. Capstone Real Estate Investments, LLC (“CREI”) is pleased to announce that it has closed on the sale of Eagles South Apartments in Auburn, AL. The purchasing party is Aspen Heights headquartered in Austin, TX. Capstone Real Estate Investments, LLC (“CREI”) has closed on the acquisition of Boardwalk at Dewberry Landing in Hattiesburg, MS and Boardwalk at Brittain Landing in Tuscaloosa, AL. Capstone Real Estate Investments, LLC (“CREI”) has closed on the acquisition of University Trails Apartments located near the University of Mississippi in Oxford, MS.
Capstone Real Estate Investments LLC (“CREI”) is pleased to announce that they have been selected to manage Quantum on West Call, a new purpose-build student housing development located at 446 Conradi Street in Tallahassee, FL. Capstone Real Estate Investments LLC (“CREI”) is pleased to announce that they have closed on the sale of 446 Conradi Street in Tallahassee, FL to a national student housing operator. Capstone Interiors completed the outdoor install at Eagle Flatts this quarter. The install included furnishing the renovated pool deck and "quad" - the covered pavilion and open-air green space for recreation. Capstone Real Estate Investments LLC (“CREI”) is pleased to announce that they have closed on the sale of University Lake Apartments in Tampa, FL to an affiliate of FPA Multifamily, LLC. In May 2016, Capstone Real Estate Investments (“CREI”) closed on the purchase of High Point Apartments in Tallahassee, FL. The property presented a unique opportunity, as it is adjacent to a current holding – Legacy Suites. Take a look at Hawks Landings updated business center! The space was previously an outdated game room and we’ve repurposed it into a conference center which will be more utilized by the students. Eagle Flatts officially joined the CREI portfolio on January 11, 2016 under the name University Edge. At the time of acquisition, the property had only preleased 36 beds for the 2016-17 school year. The leasing progress since that time has been nothing short of amazing. Capstone Real Estate Investments, LLC (“CREI”) has closed on the acquisition of Colony Club Apartments in Tallahassee, FL. Located just 0.1 miles from Florida State University, Colony Club consists of 169 1-, 2- and 3- bedroom units within walking distance to campus and local shopping, dining, and entertainment. Capstone Real Estate Investments, LLC (“CREI”) has closed on the acquisition of Old Taylor Place Apartments in Oxford, MS.
Hawks Landing was originally developed in 1994 by Capstone Development Corp. as a University Commons property. Capstone Real Estate Investments, LLC (“CREI”) has closed on the off market acquisition of University Park Apartmentslocated .25 miles from East Carolina University in Greenville, North Carolina. Capstone Real Estate Investments LLC (“CREI”) is pleased to announce that they have closed on the sale of Eagles Reserve Apartments in Auburn, AL to a national student housing operator. Capstone Real Estate Investments, LLC (“CREI”) has closed on the acquisition of University Edge Apartments located approximately .25 mile from the University of Southern Mississippi in Hattiesburg, MS.